An application to build 33 houses on part of the site of the action fought in the village of Norton St Philip in 1685 has been received by Mendip District Council. The Trust's objection to the application can be read below. More information about the application can be found on the Council Website at www.mendip.gov.uk Go to the Planning pages and enter reference 2013/2217. Please help us fight to preserve this historic site by registering your opposition. 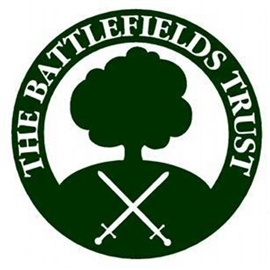 I am writing as the Secretary of the Wessex Branch of the Battlefields Trust, the UK charity responsible for the preservation and interpretation of battlefields and sites of conflict as heritage and educational resources. I refer to para 3.2 (summary of the history of Norton St Philip) in the Heritage Appraisal and Impact Assessment prepared by Heritage Vision for their Clients, Countrycraft Developments Ltd. I note that no mention is made of the important action fought on 27 June 1685 in Norton St Philip during the 1685 Monmouth Rebellion . Norton St Philip is the site of one the last military actions to be fought on English soil and as such is a nationally important heritage asset. On 27 June 1685, during the Monmouth Rebellion, the Duke of Monmouth’s rebel forces were camped in and around the village (then called Philips Norton) when they were attacked by elements of the Royal army. Despite their lack of equipment and experience the rebels got the upper hand and the Royal forces were forced to fall back. John Churchill, the future Duke of Marlborough and arguably Britain’s greatest ever general, helped cover their retreat. Casualties in the fighting may have been as high as ninety. The action probably marked Monmouth’s last hope of victory for had he then followed up his success with a bold attack it might have led to a dramatic defeat for the royal army which, with about 2500 troops, was just half the size of the rebel force. But Monmouth did not grasp what was surely his best opportunity of the whole campaign and on 6 July he was defeated at Sedgemoor. Twelve captured rebels were later hanged in the village. The focus of the fighting seems to have been at a barricade where North Street meets Chever’s Lane, with the rebels deployed on the south of the latter. There has been some building on parts of this area but the important fields to the north and south of Chever’s Lane currently remain untouched. A combination of footpaths, pavements and quiet roads means that the areas of fighting can be explored in safety and the Wessex region of the Battlefields Trust is currently exploring the possibility of establishing a visitor trail supported by an information leaflet. The Trust believes that, contrary to the provisions of the NPPF, this application has not demonstrated that the proposed development can be achieved without unacceptable harm to this nationally important heritage asset, and has not demonstrated that such harm is unavoidable and would be justified or outweighed by other public benefits. Nor does the proposal sustain or enhance the significance of the affected heritage asset or make a positive contribution to local character and distinctiveness or preserve those elements of the conservation area that make a positive contribution to its significance, or enhance or better reveal its significance. We therefore strongly oppose this application. We would also like to add that In addition to its national importance as a place of remembrance and study an unspoilt site offers considerable tourist potential. Experience elsewhere has shown that the presence of an unspoilt battlefield can bring important economic benefits to a locality. For example the pub in the village of Towton in Yorkshire has established close links with its local battlefield society while the Castle Inn at Edgehill, Warwickshire benefits from visitors to the battlefield it overlooks. Both the George Inn and the Fleur de Lys existed at the time of the battle and indeed Monmouth himself stayed at the former. Both are essential parts of the 1685 story and an increase in trade brought about by visitors to this historic site would help secure their futures.